Our Eastgate accommodation has 157 comfortable en-suite rooms with a separate shower, and a range of amenities. In-room amenities include air conditioning, free WiFi, DStv, tea and coffee making facilities, electronic safe, writing desk and 18-hour room service to make you feel at ease during your stay. 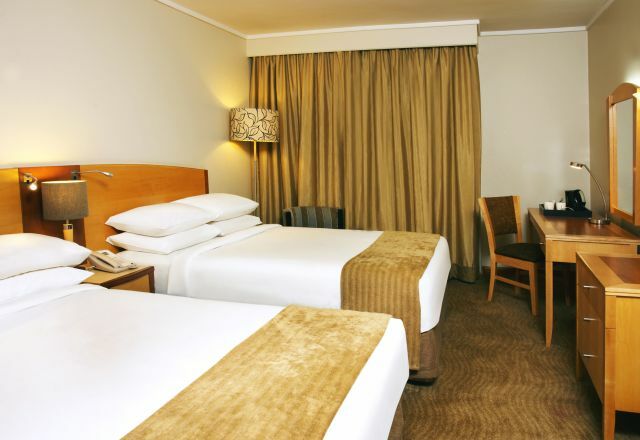 For a great night’s sleep our rooms are furnished with comfortable double or queen beds. Business visitors will appreciate our great location near Sandton and the CBD, and the business focused amenities such as the self-service workstations. Standard Rooms at the Garden Court Eastgate hotel have one queen bed or two double beds, as well as en-suite bathrooms with separate showers. Family Rooms at the Garden Court Eastgate hotel have two double beds, as well as en-suite bathrooms with separate shower.